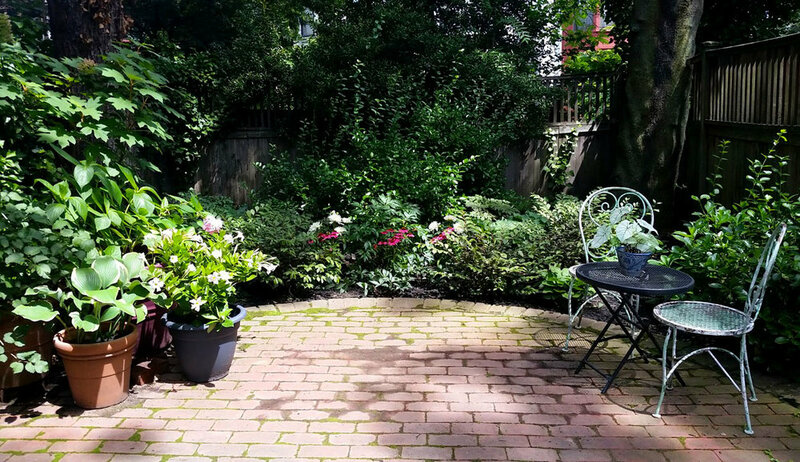 With nearly 70 feet of planting space this garden was a dream project. We inventoried the existing plants and created a design to compliment that material including repositioning many of the shade perennials. Lots of hosta, ferns and astilbe provided low foliage while rhododendrons, hydrangeas, euonymous, azaleas and barberry gave it structure. The front center bed now features an array of perennial pink and purple flowers including anemones, geranium, buddleia, dwarf lilac, aconitum, phlox, salvia and sedum with a curved line of digitalis. 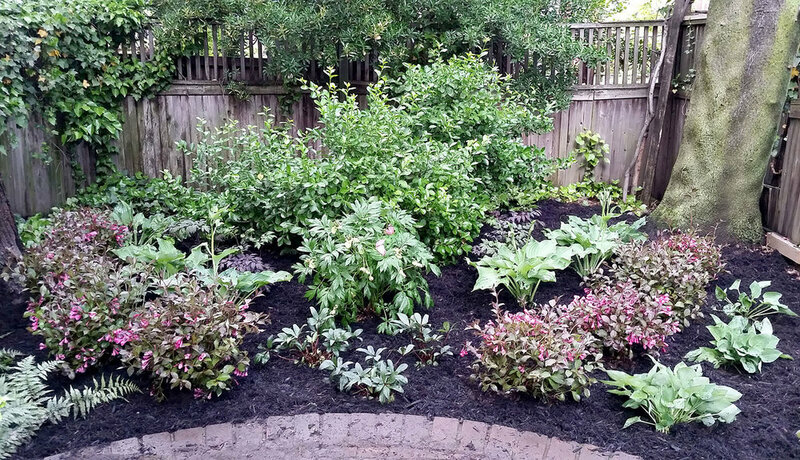 A diamond shape in the center bed was made from existing hydrangeas and we filled in the edges with cimicifuga, sedum, hosta and digitalis while leaving abundant vinca as a thick ground cover. At the far end of the garden mature euonymous was framed by blue hosta, weigela and a pink Itoh peony with helebores just below it sending out the earliest blossoms.